Getting a lot of noise in your invertebrate recordings? Do you sometimes pick up stray radio stations? While we love listening to over-produced pop music, we also like having clean, noise free recordings. If you find your SpikerBox recordings are full of noise then the Faraday Cage may be what you are looking for. This is especially important when attempting to record from Earthworms (which for reasons we don't understand make terrific antennas). 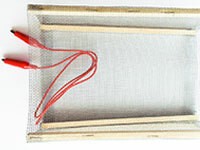 Our Faraday Cage is made in house from basswood and wire mesh screening. Curious how the Faraday Cage actually works? We also offer an interesting online lesson plan about Faraday Cage theory. 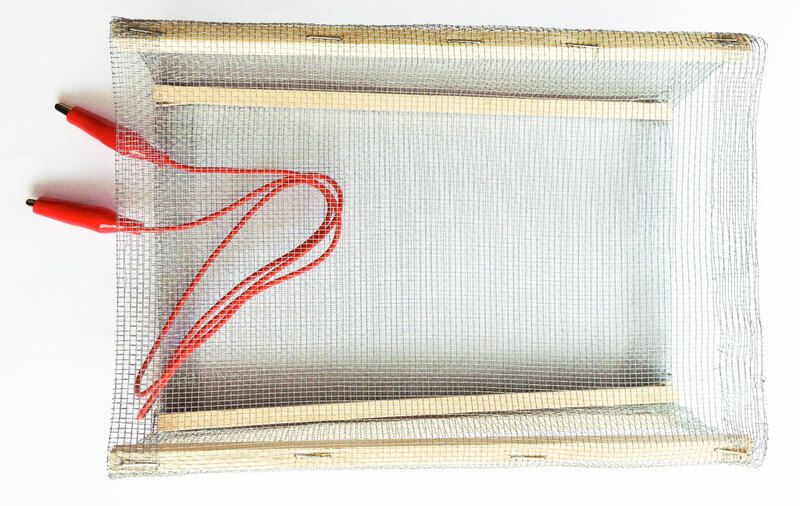 To use your Faraday Cage, put your Spikerbox directly in the cage during an experiment or, in the example of the earthworm experiment, only place your earthworm prep and electrodes inside. There are many uses for the Faraday Cage, what will you discover and use it for? 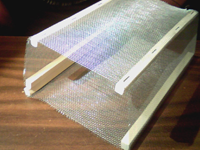 1x Faraday Cage preassembled and ready to use. 1x Alligator clip to ground Faraday Cage to SpikerBox. Video of Faraday Cage in Action!